10 months after The New York Fed building's roof caught fire, it appears Russia also has a conflagration to deal with. 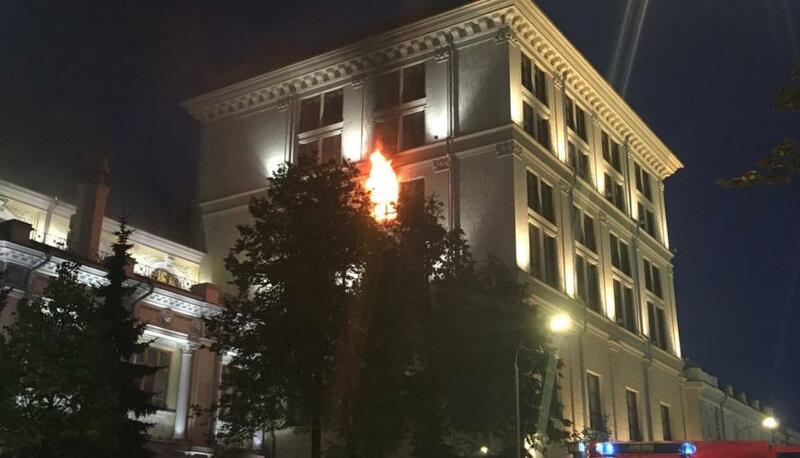 Having torched its US Treasury holdings, a fire has broken out in the building of the Russian Central Bank Bank of Russia on Moscow's Neglinnaya Street, Interfax reports. The press service of the city department of the Ministry of Emergency Situations told the news agency that firefighters arrived at 12 Neglinnaya Street, where a fire broke out in the administrative building on the fifth floor. Facebook user Khazbi Budunov said that about 15 fire trucks had arrived at the building.